There will be fireworks when Stuttgart and Nurnberg face each other at Mercedes-Benz-Arena in the relegation six-pointer. 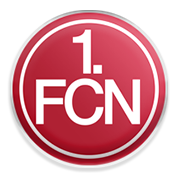 Nurnberg desperately needed a win against Augsburg at the weekend and they managed to get one. The relegation strugglers outclassed the fellow Bavarian side 3-0 in front of home fans and, no doubt, this win gave them a confidence boost. Nurnberg, though, often struggle on the travels and that is the main reason why away win should not be considered. Die Schwaben, on the other hand, aim to put an end to their three-game winless run in the German top flight and, no doubt, the will go for a victory in Saturday’s football match. However, seeing that the visitors proved their worth in the triumph over Augsburg, we believe that there is a big value in betting on draw. You should bear in mind, though, that die Schwaben emerged triumphant in previous three meetings with Nurnberg. Ron-Robert Zieler is a 188-cm-tall goalkeeper who plays for FC Koln as a goalkeeper. Zieler was born in Koln, Germany on February 12, 1989 and he began his career at his home-town club Viktoria Koln. German shoot-stopper moved to the youth team of FC Koln in 1999 and six years later he was spotted by Manchester United scouts. In 2005 Ron-Robert Zieler signed for the famous Premier League club and it has to be noted that he made 22 appearances for Man Utd U18 team. He made his first team debut for the Red Devils in a League Cup win over Middlesbrough on September 23, 2008. Zieler moved to Germany in 2010, signing a two-year deal with Hannover 96. However, he spent six years at the club (2010-2016), making 185 appearances in the league for die Roten and in the summer of 2016 he returned to England. The German goalkeeper signed a deal with Leicester City, but, after playing only nine games in the Premier League for the Foxes he moved to VfB Stuttgart on July 11, 2017.